If you’re a regular reader, you know that I’m a big fan of MINIs. In the next few years MINI is introducing several new models, but I’m especially looking forward to the forthcoming Countryman crossover. Though it certainly won’t be the car for everyone, it just might be perfect for my and The Mrs’ adventures here in the great frozen north of Minnesota. 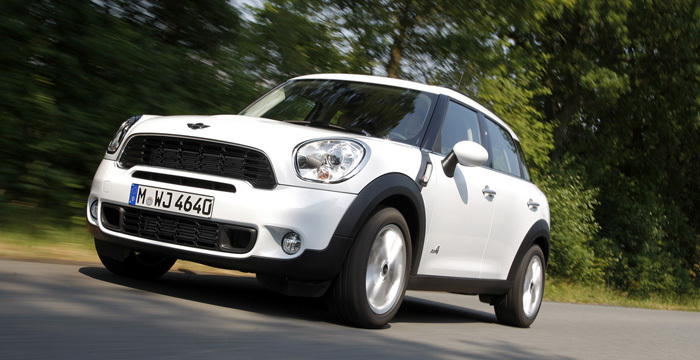 What’s more, with recent engine advances from MINI and BMW, the four door Countryman will get slightly better gas mileage than my already brilliant R53 Cooper S hatch. All with a lot more room, more power, and the added advantage of their “All4” AWD system. That’s quite an accomplishment. Also, to hear Gabe tell it, the Countryman hasn’t lost that MINI character and so not only wows in terms of efficiency and style, but in performance as well. Given how much I enjoyed the intersection of comfort and sporting eagerness driving the MINI Clubman, I think MINI is really on to something here. I’m not sure yet in what capacity, but I’m thinking there will probably be one of these in my future. I’m eagerly looking forward to my soonest opportunity to drive one of these myself. HUH…”with a lot more room”! Still only has 4 seats and the boot doesn’t look that much bigger than the Clubman’s. Since it has 4 doors and is longer and wider that should help with the seating. I can see all the other variants, coupe, roadster, up till this thing but I gotta ask myself… does the world, even just the USA, reaaalllyyyy need another SUV? As with the Clubman, a vehicle I thought was stupid until I saw and drove one, though I still feel the barn doors are stupid, even if it is a retro thing, I’ll wait until I see one in person.